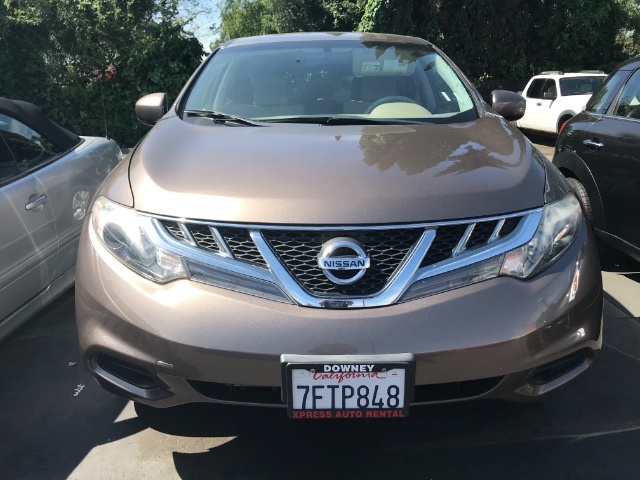 Feast your eyes upon the sophisticated and distinctively styled 2014 Nissan Murano S SUV shown off in Tinted Bronze Metallic. 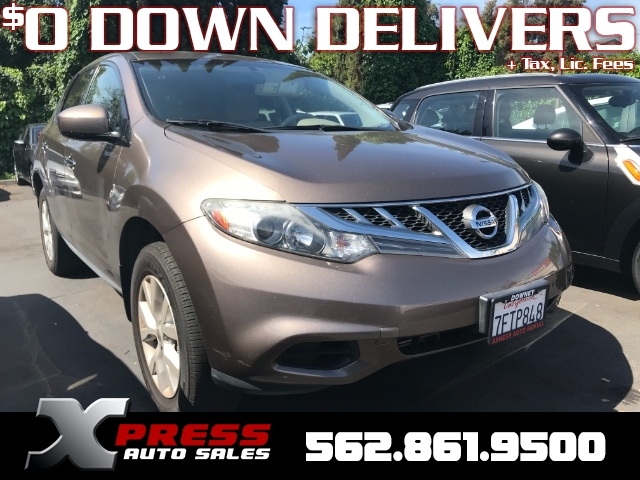 Powering this upscale crossover SUV is the award-winning 3.5 Liter V6 that produced 260hp while linked to the innovative Xtronic CVT to provide awesome acceleration and seamless shifting. 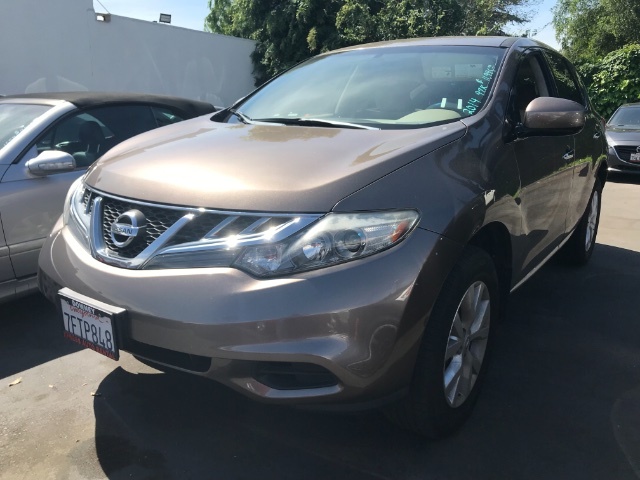 Together this Front Wheel Drive team helps you achieve up to 24mpg on the open road. The unique exterior is accented with sporty 18-inch alloy wheels and LED taillights for a splash of style. Step inside the refined S interior and you'll find yourself spoiled with features like the Intelligent Key w/Push button ignition, vehicle information center with a 7-inch monitor, mood lighting and three 12-volt DC power outlets. An AM/FM/in-dash 6-CD changer audio system features 6 speakers and an auxiliary audio input jack, making your daily commute just that much more entertaining. 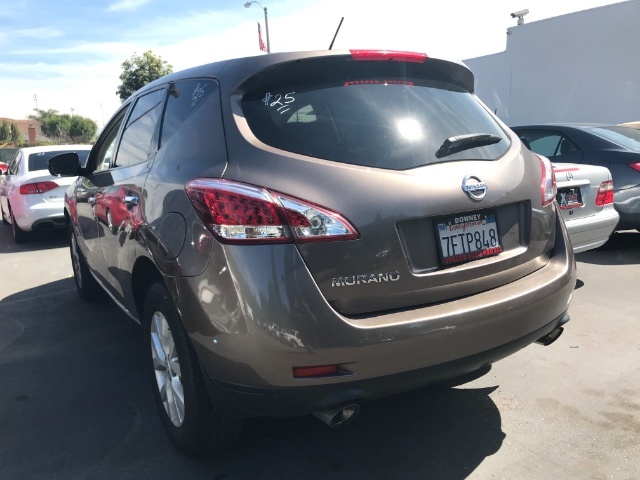 When it comes to safety, the Nissan Murano has you covered with six airbags, vehicle dynamic control, traction control and a tire pressure monitoring system all standard. Reward yourself with a crossover that is just as distinctive as it is versatile. The 2014 Murano. Print this page and call us Now... We Know You Will Enjoy Your Test Drive Towards Ownership!